The Crosby Group LLC, the largest lifting, rigging, and material handling hardware company in the world is pleased to announce its Rigging for the Troops program for the first quarter of 2019. Crosby will donate up to $25,000 to the Children of Fallen Patriots Foundation based on sales of its popular wire rope clips from April through June. It’s time to get started. You’ve done your research, read the “Clamps 101” eBook and purchased CrosbyIP lifting clamps for your next material handling project. The next step is to use your lifting clamp. However, before getting out into the field and putting your new equipment to use, it’s important to make sure you have the knowledge and training required to use lifting clamps correctly and confidently with every lift. 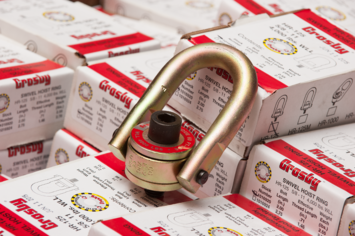 An automotive end-user reached out to Crosby District Sales Manager and Product Trainer, Denny Davis via Crosby’s Locate a Sales Manager resource available on thecrosbygroup.com to discuss possible solutions to an issue, and some concerns with their current rigging hardware. They had been using Crosby products to assist them in an assembly line application during the manufacturing process of automotive engines and transmissions. In a previous update, it was mentioned that a new ASME B30.30 Ropes volume of the ASME B30 Safety Standards was in the works. The new standard that includes both wire and synthetic ropes, has now passed its final hurdle of ANSI approval, and will be published in early 2019. A Crosby end-user, a construction company, has the lead for a new, state-of-the-art baseball stadium. The project includes; a $250 million upscale entertainment venue including a variety of restaurants, cocktail bars, and a luxury boutique hotel. 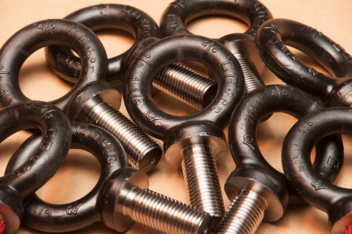 "Today, many loads require a more sophisticated connection - one which eliminates the loss of strength when angularly loaded and also allows for easy sling alignment." Paul DeMattie is VP of US Sales/East Region & Product Trainer for Crosby. He has worked in the lifting and rigging industry for over 15 years and joined Crosby back in 2009. He graduated from the University of New Haven with a Bachelor of Science in Business Administration, and a master’s degree in Management from Albertus Magnus College.